We have numerous ways to generate money online and one among them is via a blog or a website. If you are a blogger running a small or medium-sized blog and seeking for a blog revenue program then, affiliate marketing is one of the powerful blog monetization techniques that assist you in the best way to generate more and more income. Affiliate marketing is the process of earning a commission by promoting a company’s products. It is moderately an effortless approach for bloggers and other website owners to gain pretty good earnings. If you have a product then you can begin promoting it to others so that you could earn a bit of the profit on each sale that you make. Indeed these days, even social media has become one of the profitable platforms for affiliate marketing campaigns. Most of the bloggers and website owners depend on Affiliate Income for generating pretty good revenue from their Blog or website. Have you been looking for the best affiliate program or marketplace? I have come up with a list of the best and topmost affiliate programs for both small and medium-sized blogs or websites that can help you bag additional income online. Here, I have compiled a list of top 10 affiliate programs for small and medium-sized blogs with a detailed review of each affiliate program. Check out the list of all the top affiliate programs! How Affiliate Marketing aids to Generate Extra Revenue? Affiliate Marketing is one of the best ways to generate more income from a blog just by promoting the products. While there are dealers who run their own Affiliate Program, there are also many dealers who use the services of Affiliate Networks to serve as a medium between merchants and the affiliates. This is because affiliate marketing doesn’t need affiliates to provide their own products or services for purchase, but just to keep promotions on their blogs for other dealers’ products, it relieves affiliates from many of the burdens and difficulties of conventional sales models. Merchants do all these works while the affiliate sits back relaxed and collects a commission for each agreed-upon action performed by the visitors the affiliate sends to the dealer’s website through an affiliate link. As far as the affiliate has performed his/her homework and pick a trustworthy affiliate program, they needn’t bother about non-payment. Affiliate networks direct programs for individual dealers managing all the concerned work, while commonly providing tracking and reporting abilities to their affiliates to assist them to hold statements on their revenues and analyse which products or services are generating the best returns. These affiliate marketing tools can be essential to an affiliate in tweak the range of products they choose to promote on their website or blog thereby boosting revenues as a result. Let’s take a look at the best affiliate programs for your small or medium-sized blog available in the current market. Here are the best affiliate programs for both small and medium-sized blogs or websites that help you in the best way to generate additional earnings via your blog. 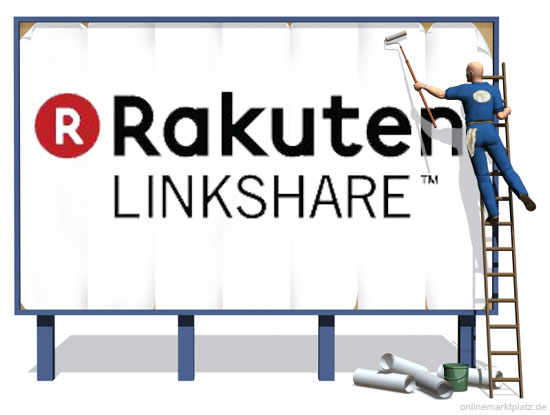 LinkShare is one of the popular affiliate marketing programs which is Rakuten Affiliate Network owned by the Japanese company namely Rakuten. This is the best affiliate marketing program that exhibits itself in their steadfast networks for the UK, Canada and Japan, and their powerful foreign language and currency capabilities. It is reportedly the largest affiliate network, with over 10 million affiliate partnerships and offers more than 2,500 affiliate programs. LinkShare affiliate program acquired the number-one position in the year 2012 in the Blue Book of Top 20 Affiliate Networks as it offers platform strength, support quality, and international capabilities. LinkShare allows you determine whether to have every perspective of your affiliate channel arranged for you or whether you would rather maintain your own affiliate program utilising the company’s various service and support options. ShareASale is an excellent affiliate program where one can simply join the program and get paid by its service. One of the best elements of this ShareASale affiliate program is the commission rate (affiliate income) generated by promoting the products on your blog. You will get a commission ranging from 8% to a maximum of 40% of the products which you put on sale through the ShareASale affiliate marketplace. It is an amazing affiliate program that offers the best pay for its marketers. One of the main reasons for selecting this program is that it gives easy approval. It is the best affiliate program if you’re a full-time blogger. There are over 7, 00,000 affiliates who are promoting different products through a ShareASale affiliate program. Commission Junction is one of the largest affiliate marketing networks globally, especially in North America. It is claimed as the best affiliate program by the Blue Book of Top 20 Affiliate Networks. It has acquired the top position due to its amazing services such as balancing the relationship between the merchants, the network, and the affiliates. 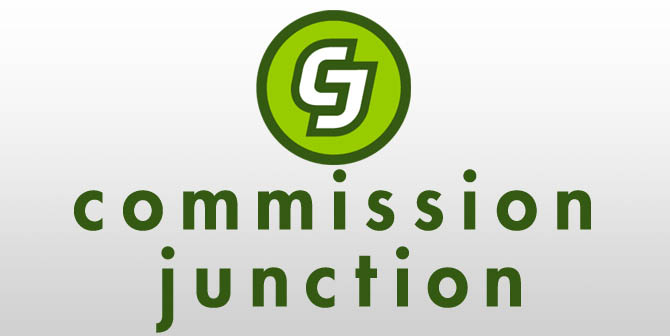 Commission Junction is a California-based company which is owned by ValueClick, Inc. It offers various services that include affiliate, media, and tracking services. Apart from the normal pay-per-action affiliate program, the company also renders a useful PayPerCall program to assist affiliates “ensure they get paid commission for the leads they produce, thus further monetizing previous ad placements and owning the possibility to develop their promotional online and offline campaigns. This affiliate program offers either a self-management or company-managed option for your affiliate relations with other dealers. Amazon Associates is the best affiliate marketing program that has acquired a position in the list of top 10 best affiliate marketing programs. It is the best service that provides a reporting system which far exceeds other big affiliate networks. Truly, this is one of the largest and most diverse affiliate programs available. As we all know, Amazon.com renders a wide variety of products and services that there’s restraint to be something to suit your niche blog or website. Actually, they provide over a million products from which you can pick anyone based on your requirement in order to monetize your website or blog. Amazon Associates is a pay-per-sale affiliate program. ClixGalore is an Australian PPA (pay-per-action) affiliate network that offers its services all over the world in the US, UK, and Japan. The company delivers different types of programs that include PPM (pay-per-impression), PPL (pay per lead), PPS (pay-per-sale), and PPC (pay-per-click). Many of the affiliate programs offered by this network pay in US dollars. This is an excellent affiliate marketing program which can be easily built and begin your own Affiliate program. It lets affiliates advertise or promote your marketing products to boost sales at your website or blog. Affiliate Marketing enables you to have your website promoted using your own huge ‘pay for performance’ online sales team (which are known as Affiliates). Some of the popular brands that use ClixGalore for their affiliate offerings include Bluehost, Time Life, Trend Micro, Citibank, and Fox Sports Shop. ClixGalore is a solid network that provides thousands of possible merchant programs. It also offers a two-tier network by referring other affiliates to the network so that current affiliates can bag a portion of their earnings. ClickBank is a well-known affiliate network that emphasises digital products such as e-books, software, and membership sites. The program reportedly offers up to 75% affiliate commissions on its wide range of products. Affiliate Commissions are paid on a weekly basis, and direct deposit is also available to its affiliates. This is a venerable affiliate network that specialises in digital, downloadable products and it has completed 10 years since its entry into the affiliate marketing program and still going strong. Over the years, this affiliate network has endured successful, though some have challenged a few of its applications. Despite this, the company holds an A- rating with the Better Business Bureau. MaxBounty is one of the popular and best affiliate marketing programs which has placed on the list of Blue Book of Top 20 CPA Networks. It has entered into the affiliate marketing business in the year 2004. Since its entry, the network was established on the basis of paying its affiliates more. MaxBounty usually pays affiliate commissions weekly and the company seems to have a great reputation among its affiliates. Actually, the MaxBounty affiliate marketing network is popular among many top affiliate marketers and it has also received copious positive reviews from the writeups and critiques over the past several years. PeerFly is a PPA network with its own proprietary software system. The network placed on the top 10 list due to its high popularity and a great platform. PeerFly allows publishers from all over the globe and offers thousands of merchant affiliate marketing programs. Neverblue is a pay-per-action affiliate program that pays its affiliates for contact, download, and sale generation, and new affiliate referrals as well. The parent company is Neverblue is Velo Holdings, now plans to sell the network at auction to pay its debts. Actually, it is Canadian network that is powerful in lead-gen globally. It is very popular with high-performing affiliates. Neverblue’s marketing is basically strong and they plan perfectly to make all affiliate payments on schedule, in a timely and responsible manner. Its management is just as convinced that the deal will not influence Neverblue’s ability to meet its affiliates’ requirements in any way. You can generate pretty good revenue through this affiliate marketing program. 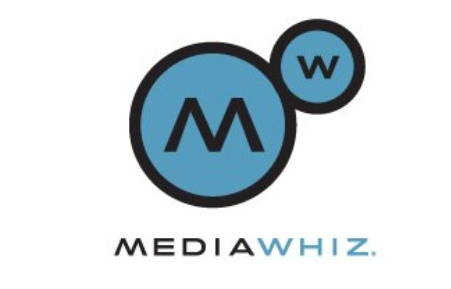 MediaWhiz is a U.S. subsidiary has integrated into global operations and the MediaWhiz brand has been retired, with the company now serving as Matomy’s U.S. hub of operations. Currently, it has more than 30,000 publishers, 3,000 advertisers, and a claimed $100 million in publisher payments in the year 2007. Media Whiz is powerful in email and lead-gen. These are the top 10 best affiliate marketing programs that assist you in the best way to boost your earnings by promoting popular products or services on your blog or website. Hope this list of popular affiliate marketing programs helps you to generate more revenue through your blog. Hey Lasya nice article. But what’s your opinion on Vcommission and Payoom? I have worked with both networks Vcommission and Payoom. Both the networks work pretty well. In comparison, as per income Vcommission is better to use. Wow, this is big list of awesome affiliate platforms for blogger like me. Am happy to join commission junction last month and am now making few bucks online. in what niche you work ?? For providing Best Affiliates programs. I have a niche website cashbackcoupons.in for Flipkart offers. Present I am using the cuelinks affiliate But they giving me very less amount. Please Help me what is the Best affiliate program for Flipkart. Nice site; speaking of Clickbank has anyone any ideas for a good WordPress plugin that displays relevant offers based on a pages content? Hey; regarding Click-Bank has anybody any ideas for a easy WordPress plugin that displays relevant products based on a websites content?